It is ideal for Nordic Skating with Skike or Powerslide Nordic skates. 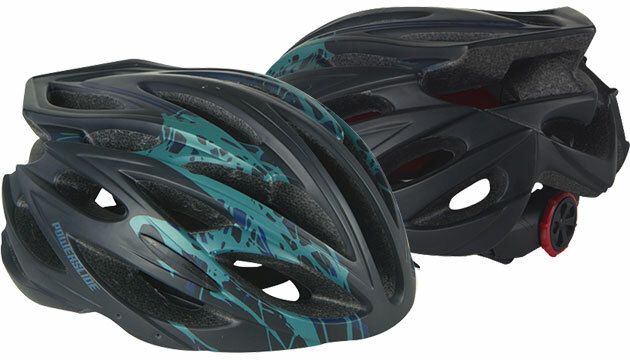 The helmet has an excellent air flow system and the size is continuously adjustable (for avaiable sizes please see below). These facts make this helmet very comfortable to wear and a safe helmet for Nordic Skaters. Everybody who enjoys sports in nature knows that a helmet not only protects the head from injuries but also from intensive heat from the sun and the sunrays. Please choose the size you would like to have and then put the nordic skating helmet into the shopping cart.